The move also came a day after money supply data showed several of China's key credit gauges continue to languish around record lows. On Monday, China is expected to report the economy grew 6.6 per cent in 2018. China's central bank injected a record $83 billion into the country's financial system on Wednesday, seeking to avoid a cash crunch that would put further pressure on the weakening economy. China's policymakers are pledging to step up stimulus measures this year and do more to protect jobs as economic growth cools to 28-year lows. But a raft of measures last year from big rail projects to tax cuts seem to have had little impact so far, with recent data suggesting activity is cooling more quickly than expected. "The news is clear - the economy needs help," said Trinh Nguyen, senior economist for emerging Asia at Natixis in Hong Kong. Wednesday's open-market operation, the bank's largest net single-day injection on record, came a day after China's state planner, central bank and finance ministry all offered reassurances to investors, signalling more spending and other types of policy support. But shockingly weak December trade data released earlier this week, along with shrinking factory activity, are stirring speculation over whether more rapid and aggressive policy measures are needed to turn the world's second-largest economy around. Authorities now agree the economy needs more decisive support "and today's large injection reflects that," Ms Nguyen added. The People's Bank of China (PBOC) said Wednesday's injection was aimed at ensuring there are ample funds in the financial system, which is facing strains as tax payments peak in mid-January, and as demand for cash picks up ahead of the Lunar New Year holidays starting in early February. "The banking system's overall liquidity is falling rapidly," it said in a statement. While sizable injections are common this time of year ahead of the long holidays, the addition was much heftier than usual and follows a large cut in banks' reserve ratios announced this month, which will free up a total of $116 billion for new bank lending. The first stage, a 50-basis-point cut, came into effect on Tuesday. An equal-sized cut is scheduled for January 25. The move also came a day after money supply data showed several of China's key credit gauges continue to languish around record lows, despite government efforts to channel more funds to cash-starved companies and lower their financing costs. While authorities have urged banks to keep lending to struggling firms and even dangled incentives, banks are wary of bad loans after a long regulatory crackdown on riskier lending. Many businesses, facing slowing sales, are in no mood to make the fresh investments that Beijing is counting on. New medium- and long-term corporate loans last month fell to less than half of average December levels, Nomura noted. Chinese officials have repeatedly pledged more support for the economy while vowing they will not resort to "flood-like" stimulus that Beijing has unleashed in the past, which quickly juiced growth rates but left a mountain of debt. 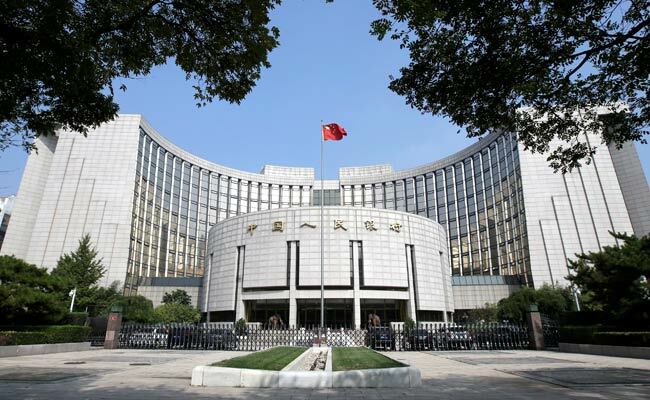 Asked if the PBOC needed to cut benchmark interest rates, a PBOC deputy said on Tuesday that existing policy measures should be improved. Analysts at OCBC said the comments suggest the PBOC is willing to give existing measures time to work, and is in no rush to switch to more aggressive tactics at this point. "I have never seen such huge amounts of reverse repos ... the central bank is making its attitude known," said a trader at a brokerage house in Shanghai. "It's saying, 'don't question my determination'" to stabilise market expectations, the trader said. Markets appear to agree that policymakers will stick with modest measures for some time yet. Chinese stocks and money market rates, sensitive to hints of policy shifts, were little changed on Wednesday. The seven-day repo rate, a closely watched measure of liquidity, was 2.6142 per cent on Wednesday afternoon, slightly lower than the previous day's close. "While the (PBOC's) net injection is big, it's little versus what a rate cut would release, which is what people in the market are watching for," said Ken Cheung, senior Asian FX strategist at Mizuho in Hong Kong. In a rare encouraging sign, home prices remained buoyant in December, suggesting that at least some of Beijing's efforts at support are beginning to have an effect. Construction also appears to be slowly picking up as regulators fast-track approvals of more infrastructure projects. But analysts agree steps so far will take some time to percolate through the broader economy, with most not expecting activity to convincingly bottom out until summer. On Monday, China is expected to report the economy grew 6.6 per cent in 2018, cooling from 6.9 per cent the previous year and the slowest rate of expansion the country has seen in 28 years. The pace is expected to slow further to around 6.2 per cent this year. Some analysts' in-house models suggesting activity is already much weaker than official data suggests. Darkening the picture further, hopes are dimming once again that China will be able to reach a trade deal with the United States in current negotiations. US tariffs have increasingly weighed on Chinese exports in recent months, disrupting its supply chains and dragging down business and consumer confidence. US Trade Representative Robert Lighthizer did not see any progress made on structural issues during US talks with China last week, Republican US Senator Chuck Grassley said on Tuesday.